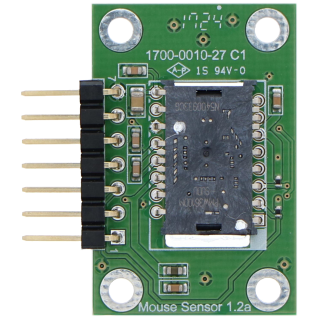 Pixart PMW3610DM 3200 DPI Mouse Sensor with custom PCB for mounting and solderless pin connection. Includes 7-pin cable that connects to Main PCB Module. Mount at 2.4mm distance from lowest mouse sensor surface to mousing surface (desktop/trackball) for optimum performance.